I tried this out today in class (and will repeat tomorrow), and it worked out quite well. So now I want to share, my first 3 Acts problem. 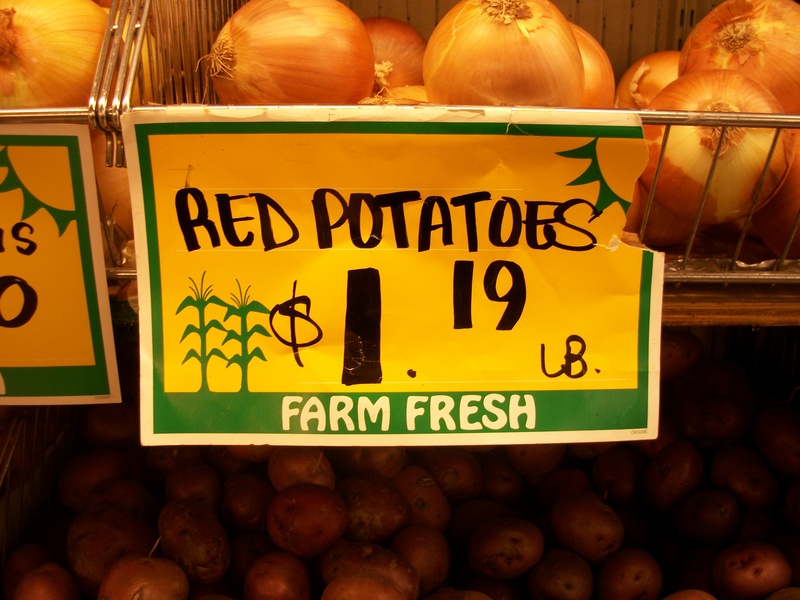 Potatoes – Act 1 from James Cleveland on Vimeo. 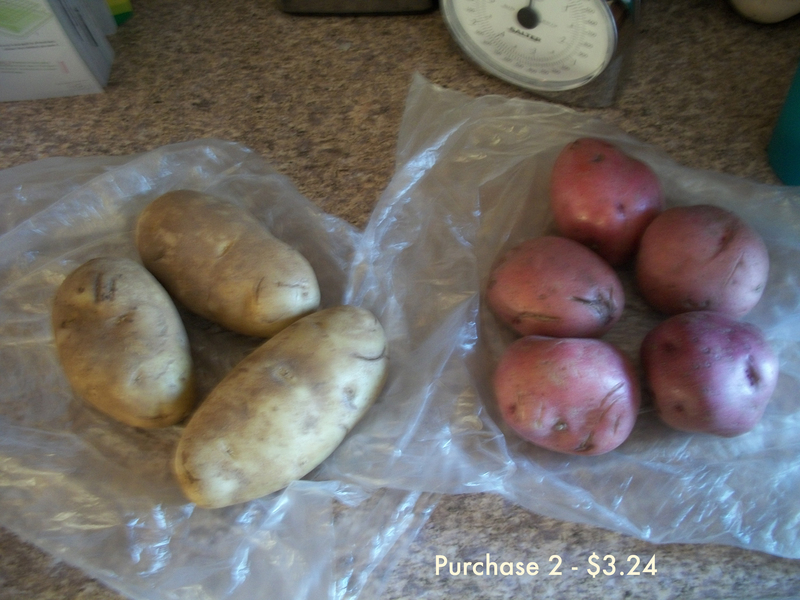 The question I intended to be asked was “How many of each potato do I need for the recipe?” or variants such as “What does he do now that the scale is broken?” or “Did he buy enough potatoes?” Those were all asked, along with some others. 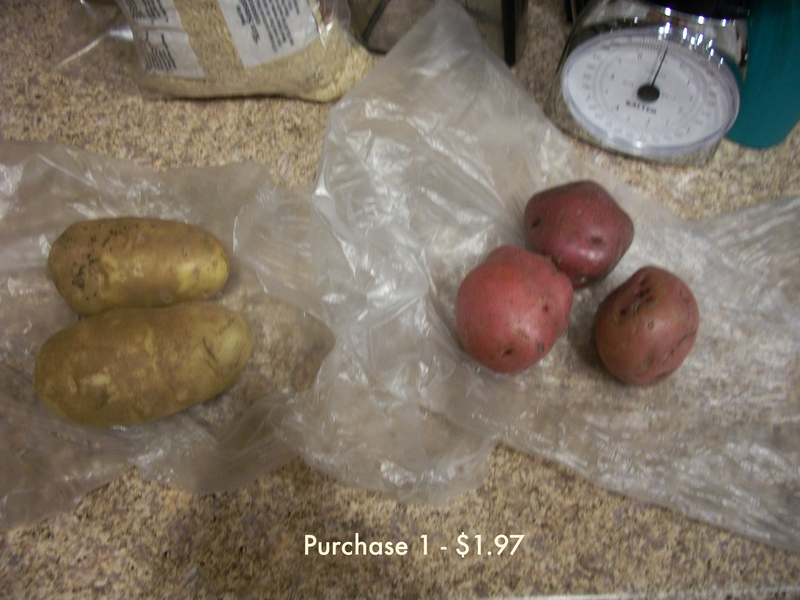 The video shows some things (how many potatoes I bought the first time, and the cashier says the totals), but it’s easier to lay that out when the students ask. 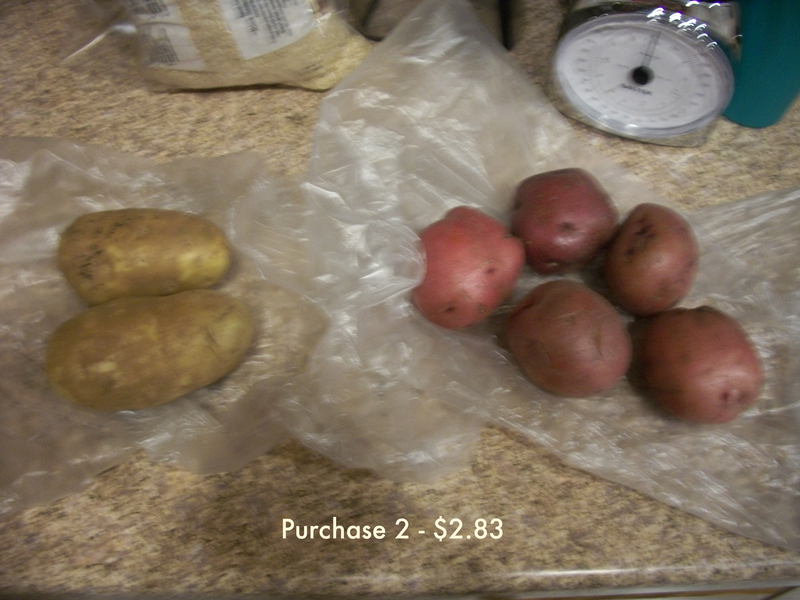 After that, they also wanted to know how much the potatoes cost, so I provided that. But that’s all the information I can give: my scale is broken and I didn’t take the receipts from the cashier. Luckily, this is enough. 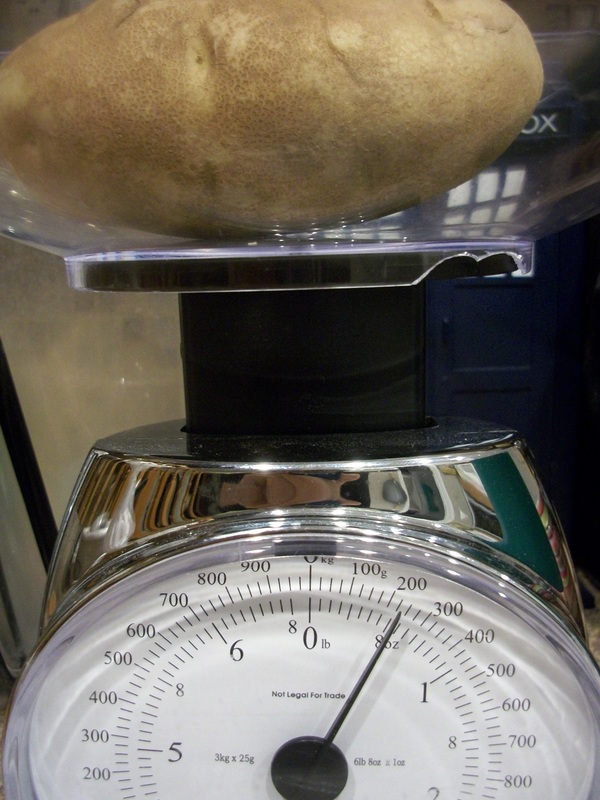 After we calculated the weight, we compared when I weighed them in my “new” scale. 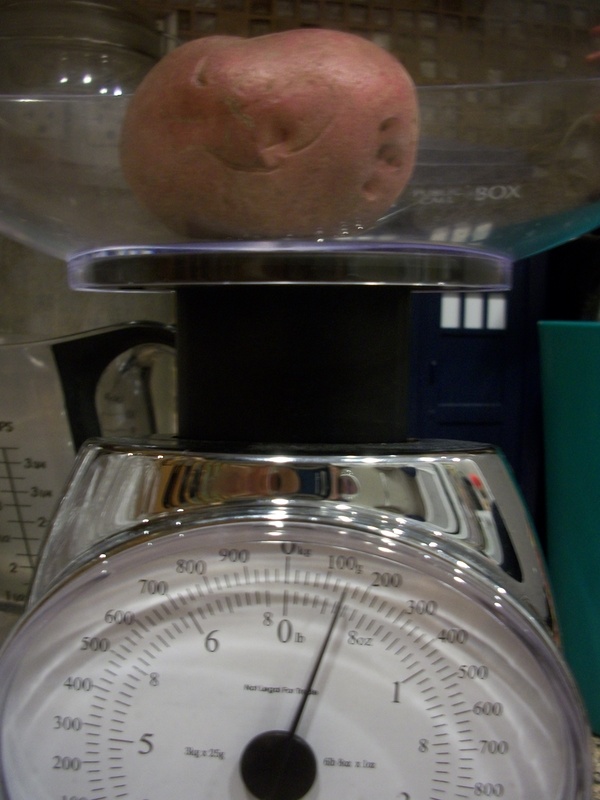 I wish I had my digital scale for a better Act 3, but it’s actually broken (and the calculations I had to do when it was inspired this problem) and the analog was cheaper. The solutions you calculate (.36 lb and .43 lb) are pretty close to the values on the scale (which I peg at .37 lb and .5 lb). 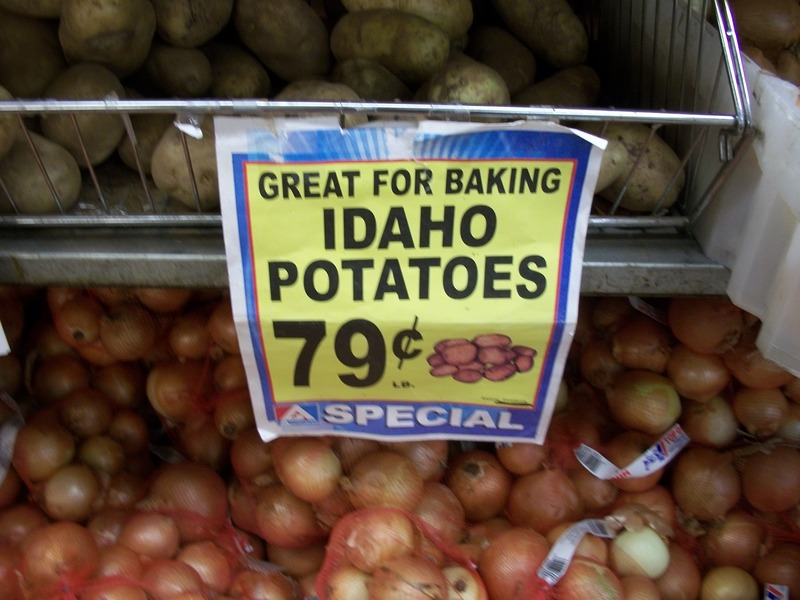 What if I had bought 3 Idaho potatoes on the second trip? How can I figure out how much each one weighs now? I saw this on a recent trip to San Francisco and it got me thinking. Take a look at the picture and the movie…any questions? 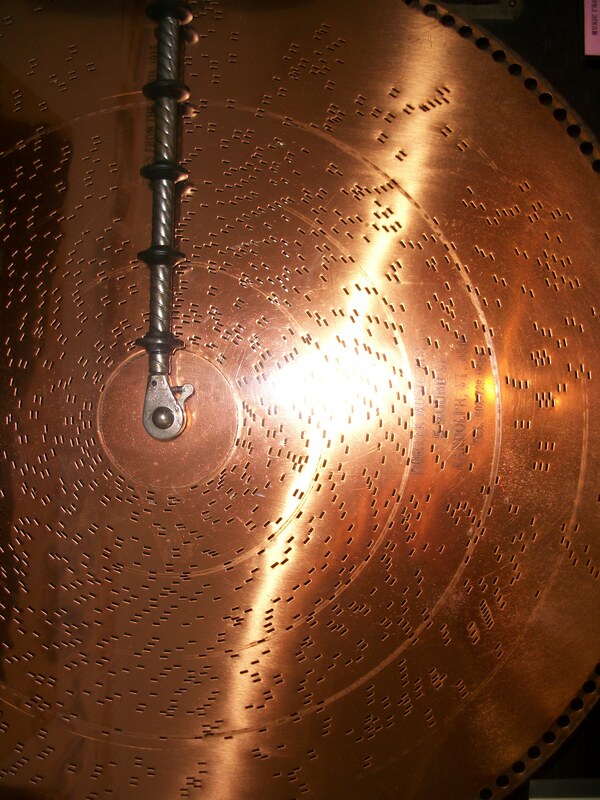 Musical Disc at Museé Mechanique from James Cleveland on Vimeo. During my statistics unit this past year I did a lesson on scaling and how area and volume scale proportionally to the square and cube of the length. I did it during the statistics unit because it was based on how improper scaling is used to mislead people. (My unit was based on the book “How to Lie with Statistics.”) Of course, where the lesson lies may change based on the curriculum overhaul I do this summer, but I imagine the basics will be the same. I ran the lesson as a lab, with students building letters out of blocks and then scaling them upwards by factors of 2, 3, 4, and seeing what happens to the area of a trace and the volume (number of 1 cm^3 blocks needed). It was a fine lesson, but I wonder if I can’t improve it with a little more…wonder. I want to see if I can find a good picture or video of a giant creature like mentioned in the Unshelved post and see if I can get students to wonder if it can exist. That sort of question can give purpose to the scaling exploration in the lab. If you read this and can offer assistance, great. Expect a post in the future based on what I find.